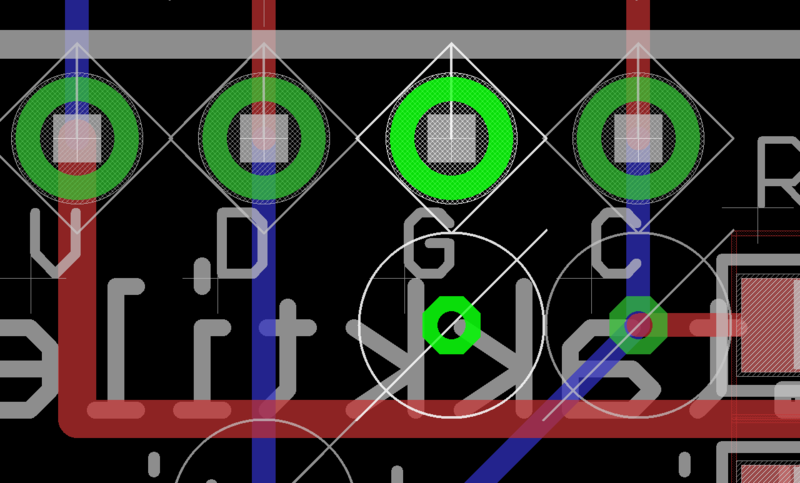 Note that Array design files use a ground pour to connect the ground pin. To show the ground pour, click "Ratsnest" — it will fill in the area, leaving clearance for wires. To hide it again, move the outline and it will revert to a polygon with dotted outline.